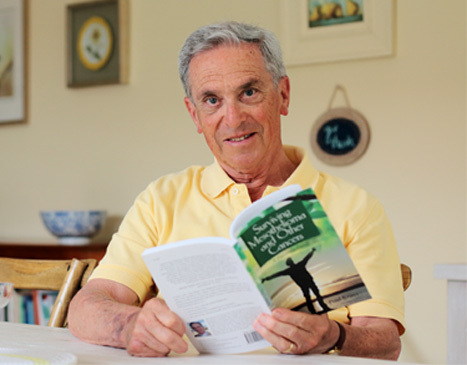 James O’Connor survived Mesothelioma for more than 6 years. The next paragraph is from Asbestos.com and explains about this type of cancer. Mesothelioma is a rare type of cancer that typically affects the lining of the lungs, heart and abdomen. Approximately 2,000 to 3,000 cases of mesothelioma are diagnosed each year in the United States, comprising around 3 percent of all cancer diagnoses. This cancer occurs about four times more frequently in men than in women. The life expectancy for mesothelioma patients is generally reported as less than one year following diagnosis, however a patient’s prognosis is affected by numerous factor including how early the cancer is diagnosed and how aggressively it is treated. The dreaded ‘C’ word. Most of us in this society have known someone with cancer, but I do not believe many of us really stop to think about ourselves being that someone. Visiting a person with cancer is a double edge sword. Upon seeing them in the stages of the hair falling out, weight loss, etc… it is heart wrenching. If it is decided to best remember that person as they were and never go to see them during their treatments then we are being selfish and hiding from our own fears. So with the question “How would I approach being diagnosed with cancer?” I would answer with the following. After the diagnose I would first take a few days to let my emotions out, then try to absorb and analyze all the information. Next step would be to seek another opinion. More questions would be asked this time, since the first time hearing the word CANCER and it relating to me, my mind would have been in a fog and information most likely missed. Search the internet for any information I could find on mesothelioma. Seek out others who may be afflicted with this type of cancer and conversing with them on what type of treatment they are involved with or have tried. Clinical trials would be another approach I would be open too. Since this type of cancer has a zero percent overall survival rate, what is there to actually lose? Along with researching, I would also start a daily journal with any changes in mood, physical strength or bodily changes. This would help me relate to information found in the research of others whom may have conquered the ‘C’ demon and maybe I could tweak my treatment compared to information received from others. Knowing that it was terminal, I would get all of my affairs in order. This would save my loved ones from being burdened with the stress of it all while going through the grieving process. Once my family was informed of my situation, any support they could provide in assisting me with researching would be welcomed. Support would be a huge help as I am sure there would be days I wouldn’t have enough energy or the mind set to put my all into researching, doctor visits and treatments. Along with researching, it would be as equally important to me to enjoy my family. Because of how deadly mesothelioma is, I am sure my family would go into ‘over protective’ mode and want to ‘coddle’ me, but having their love and support would be a much greater help, so I would want to take the time we have and use it wisely. Having a old fashioned Sunday family dinner would be a great way for us to get everything on our mind out in the open so we can proceed on. My last action would be seeking a holistic approach with a certified physician. For years our ancestors have used this method so why not use all the resources I can? Radiation, chemo and surgery are the most common ways to treat a variety of cancers, so all of them would be given top priority in my treatment plan of action. A possible approach would be to use conventional treatments and holistic combined. My personality is such that I prefer to be prepared for the worst, but never give in to be defeated. Throughout the whole ordeal I would keep my faith as a Christian. If it is decided by God that my time is up, then I am ready to go home. This essay has been enlightening, as I never thought ‘deeply’ on what I would do if I was faced with cancer.